The conscience is the voice with which God draws one nearer. When we resist our conscience we feel pain. But overtime, if we continue to ignore the inner voice, that pain grows dull. However it is never too late! Should we turn to the voice of our conscience, that muffled voice becomes again, a clear song! 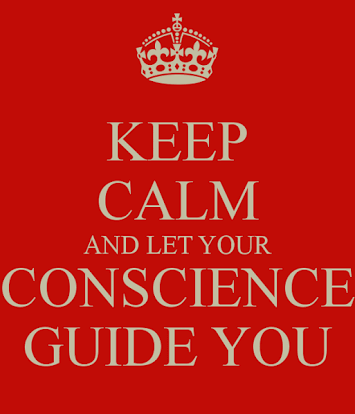 The conscience is the Guru within. It guides us out of the bonds of the ego, to liberation itself. Follow it, merge with that which you already are, the Self.